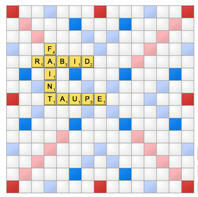 Rajat - check out my article at www.widgetaday.com, as I included BunchBall in my social gaming overview. You guys are doing some really interesting things in the space. Great post. I am CEO of SGN (social gaming network). We are spinning SGN off from Webs.com. We launched Warbook back in August and have games like StreetRace and Fight Club (1.4 million installs) and more. We are now over half a billion pageviews a month. We are focusing on original game ideas built for social networks. Would love to talk offline sometime. My adds to the list are Shervin Pishevar (CEO of SGN) and Blake Commagere (Creator of Vampires). The limit of the gaming category is hard to define. You may also want to check out Meta-Markets, the online stock market for trading socially networked creative products. You're absolutely right Dave! As a member of this new "hotness" it's a very exciting time. We, Launch 10 Labs, published the first of our "social games" a few months ago and have several more in development. It's exciting to see the landscape changing so rapidly, and the competition heating up just makes us work even harder. 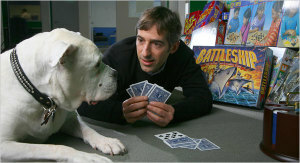 The focus is definitely on casual gaming and providing a socially valuable experience to users. I see a lot of companies trying to take their existing games, for example flash games, and drop them into Facebook and hope they work. They don't though because they lack the social aspects that draw a lot of people into gaming in the first place. A single player game in Facebook is no more fun than a single player game on the web or your desktop. Involve their friends and suddenly it's a whole new game. Let's not forget Conduit Labs, I first read about the idea of social games about a year ago on his blog Brinking (http://nabeel.typepad.com). I don't know if they are actually doing social gaming, but it sure looks like it. Money is flowing into social gaming companies because many of our businesses are actually generating real, sustainable revenue and are well on our way to creating monster businesses. Investors are not betting on potential revenue. They're investing in current, rapidly growing revenue streams. The social networks make it more cost effective than the public web to (a) create great products; (b) distribute them widely; and (c) monetize them. While we can debate whether or not CPI (cost per install) revenue is sustainable, there is no doubt that the application is the new media property and advertising unit rolled up in one. @Max: i agree there's more here than just "Casual Games meets FB", but as you suggest even just that part appears to be ushering in a significant change in online user behavior. @Fred: i'm not surprised both you folks & Jeff were in early on this trend. that said, i think you *will* see quite an avalanche of interest / followers... hopefully that doesn't dilute the potential in the sector. Fred, congrats on the investment but I hate to break it to you: gaming is definitely the hot new thing with a lot of first time gaming entrepreneurs jumping in, alongside first time investors. Dave - we actually closed this investment months ago but didn't want to announce it specifically because of this "new hotness" phenomenon. i sure hope we don't see an avalanche of me too investments in the sector, but if it happens, so be it. Dave, I think the reality is even more interesting then just putting casual games on social graph. FB platform to a certain degree triggered re-birth of innovative gaming industry over past 6 mon. Jeremy recent posts on “Games 2.0” are right on target. Its not just same old games delivered via new platform. We are looking at new landscape with new [game design] rules and definitely lots and lots of new opportunities coming to life. We definitely are going to see significant increase in number of people who are playing these games. Person who would not normally play is much more likely to try under friends-driven incentive or discovery. Lots of games which can’t surive (no critical mass for community) in vacuum of general web are much, much more easy to jumpstart and thrive on social network. We definitely are going to see more brand new type of games being created. Finally, monetizing the audiences with _that_ level of addiction and emotional attachment we currently seeing on facebook (in our games and others) is the least risky part of that model. In short its great time for [web] gaming industry in general, and for companies in the space.